Hi, my name's Joshua. After graduating from highschool in the small town of Ingram, Tx, I attended THE University of Texas at Austin where I experienced one of the most life-changing four years yet. Now I'm back in San Antonio for Med school and enjoying getting to share the same city with family again. I love watching and playing sports: basketball, ping pong, football, etc. I also enjoy listening to and making music. If there was anything else I'd do other than medicine, music would be it. Why do I want to go to Ethiopia? 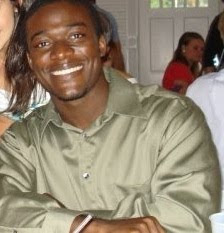 I was born and lived in Ghana, West Africa for most of my life to date. 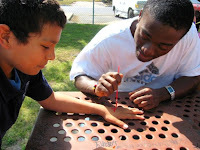 This allowed me the opportunity to witness the struggles and joys that are indigenous to developing countries. However, the encompassing cause for my desire to serve in Ethiopia and other developing countries in the future stems from several life experiences. One of such experiences, and most substantial, has been my encounter with God throughout my life, and especially in college. Experiencing God's love for me and for other people is really what motivates me to serve ; and I want to use this gift of medicine both here and, hopefully, anyplace that is in need of otherwise unattainable medical attention. This trip to Ethiopia is such a privilege and I'm excited about working with these amazing team-mates of mine. Let's get it fam! awesome :) im praying for you guys! 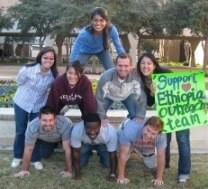 What is UTHSCSA Ethiopia Outreach?